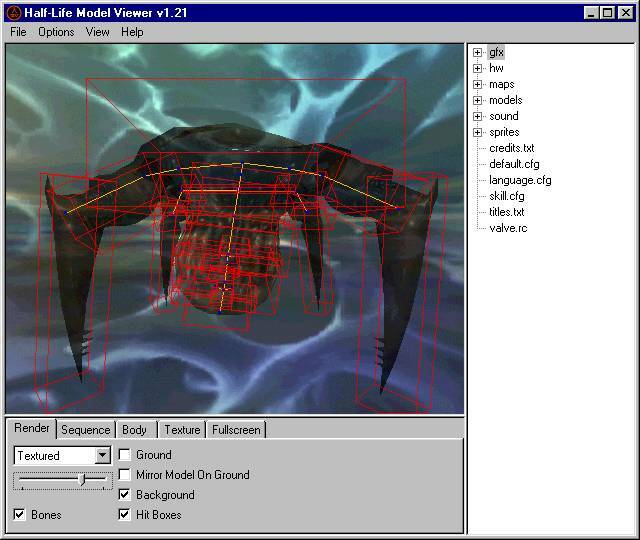 If you have problems with the 3dfx fullscreen mode, or the model viewer wants to start with the 3dfx hardware, run "Half-Life Model Viewer Safe Mode". Just some bugfixes, if you don't have problems, there is no need for a download. 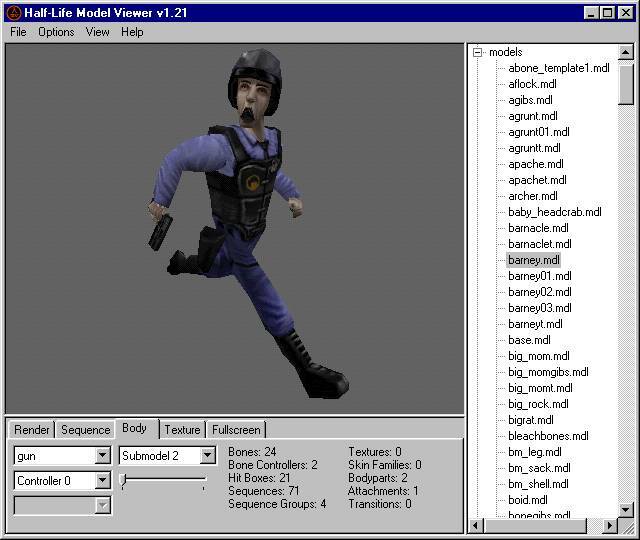 Fixed default .tga extension in "Make Screenshot..."
Added commandline support. 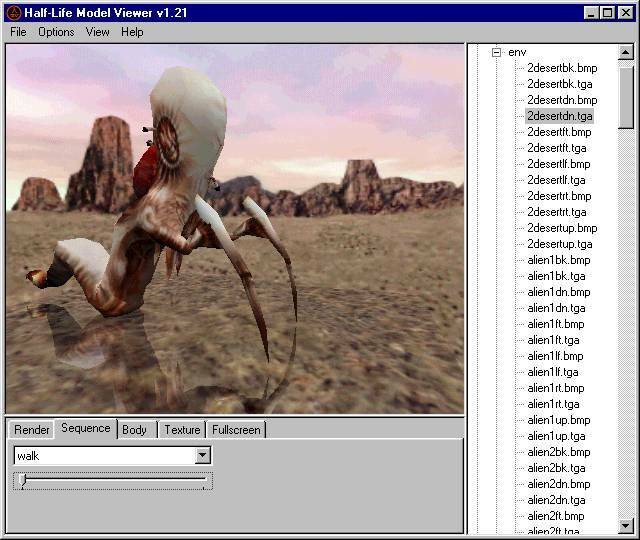 You can view a model with "hlmv.exe model.mdl". 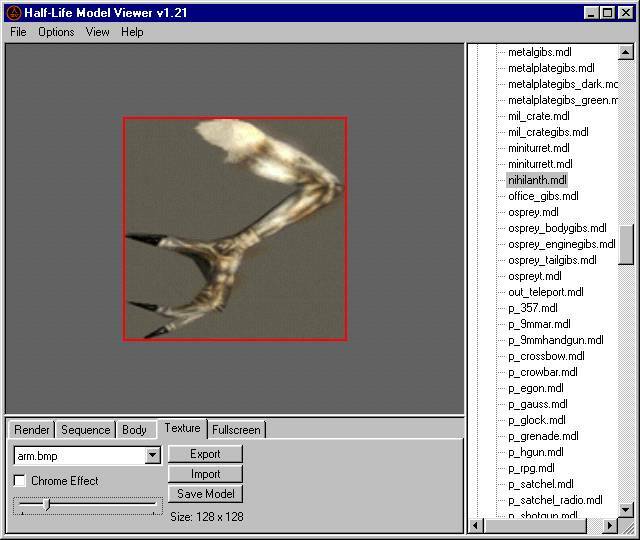 To add the right file association in windows, open the windows explorer, right-click any .mdl file, choose "Open with...", write a file extension description and choose "hlmv.exe" from your installation directory (e.g. 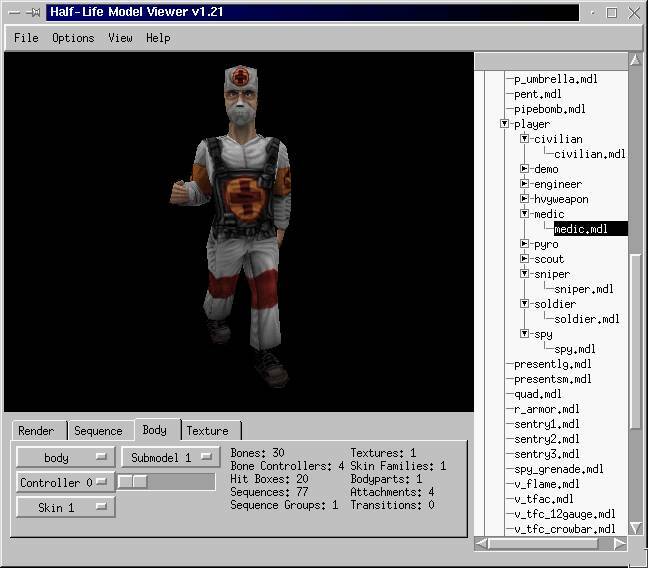 C:\Program Files\Half-Life Model Viewer\").